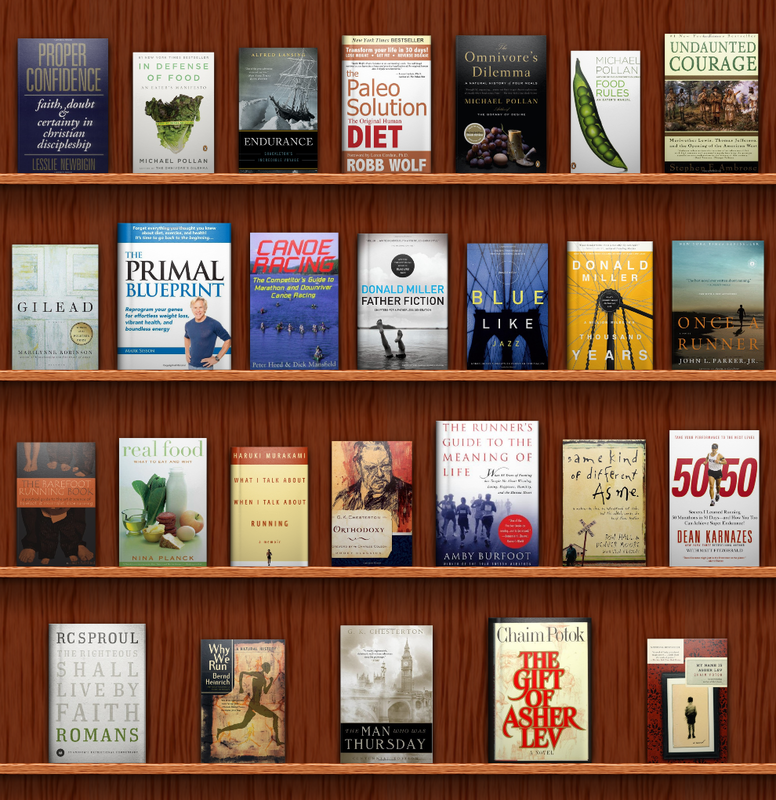 Here’s a picture of my book shelf — books read in 2010… Several of these are missing on my individual book review posts. I am behind and really don’t know that I can catch up, so I may just have a clean up post or two. A lot more running books and food/diet books than I ever would have guessed at the beginning of the year! And where’s the classics? Well I guess I did get in a couple from Chesterton. And I might have to put the biographies/histories into a similar category.